Tesco boss Dave Lewis hailed "strong progress" as the firm reported a sharp rise in first-half profits to £562m and resumed dividend payments, in the latest sign of its turnaround. Britain's biggest supermarket said its performance had been helped by holding back the scale of price increases compared to rivals in the face of inflationary pressure in a "challenging" market. However, interim results for the six months to 26 August showed UK sales growth stuttering, slipping to 2.1% in the second quarter compared to 2.3% in the previous three months. Shares in the FTSE 100 giant opened 2% higher after the results were announced on Wednesday though they later turned negative, along with rivals Sainsbury's and Morrisons, closing 3.2% down. 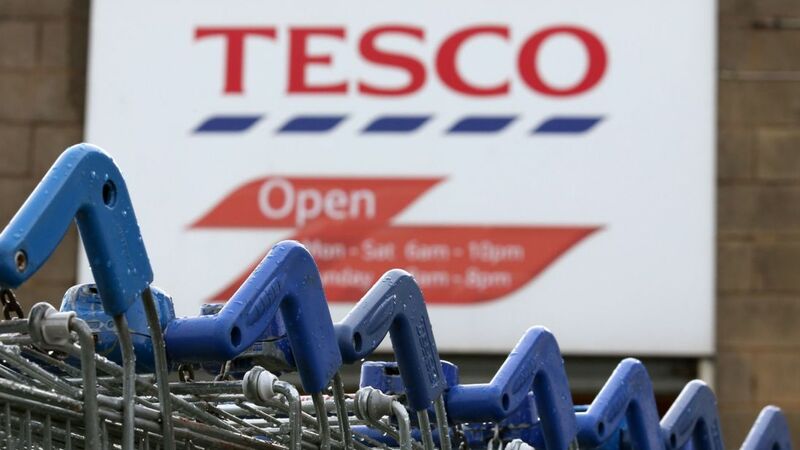 The half-year profit figure for Tesco was nearly eight times the £71m reported in the same period last year, when the company was hit by a series of one-off costs. But even on the company's preferred headline measure stripping out these items, earnings rose 27%. The performance was enough for Tesco to announce that it would resume dividends to shareholders for the first time since the 2014/15 financial year, with a 1p pay-out. Chief executive Dave Lewis said the business was "continuing to make strong progress". He added: "Our offer is more competitive and more customers are shopping at Tesco. "Today's announcement that we are resuming our dividend reflects our confidence that we can build on our strong performance to date."